Casey Anthony's defense team filed a motion late Friday asking the Orange circuit judge to disqualify himself from her first-degree-murder case because of a "personal relationship" he has with a blogger who's been critical of their client. Anthony, 24, is accused of killing her 2-year-old daughter, Caylee Marie, in the summer of 2008. 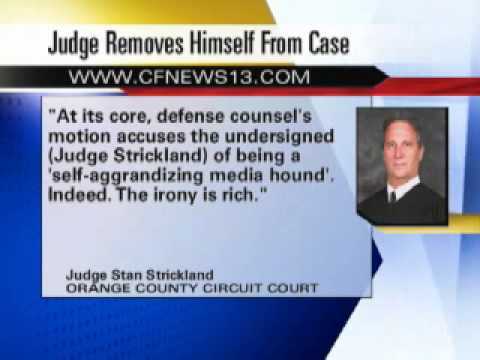 According to the defense's motion, Anthony feared she wouldn't get a fair trial because of the relationship between Strickland and blogger Dave Knechel — known online as "Marinade Dave." 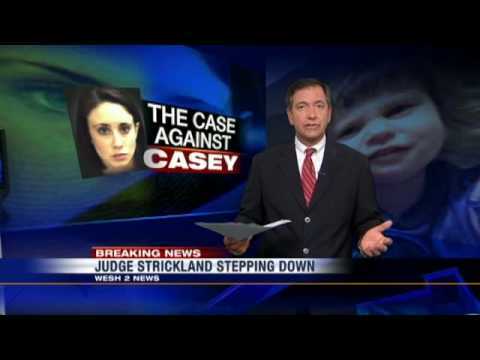 Big changes are coming in the case against Casey Anthony. 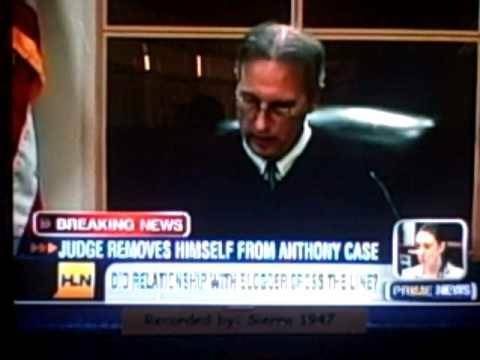 She's got a new lawyer and now she has a new judge, too. 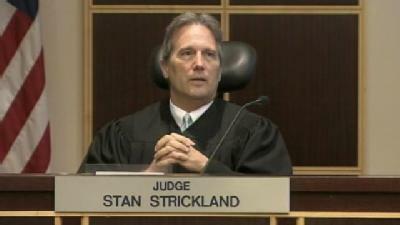 WFTV found out why conversations with a blogger cost Judge Stan Strickland the case.